There's no denying that the Juggernog perk and Pack-a-Punch machine are two of the most important items in Treyarch zombies. In this guide I'll show you the location of both of these in Black Ops 3 Revelations, helping you get a little bit of extra protection and a considerably more powerful weapon. 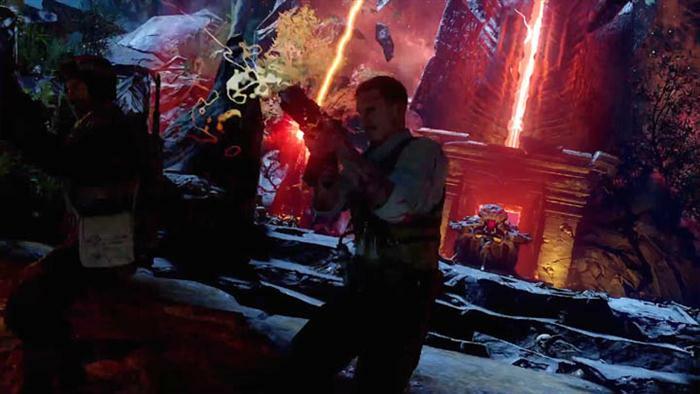 As you're probably well aware by now, the Revelations map is a mashup of the "core" Revelations area and several classic zombie maps from World at War, Black Ops 1 and Black Ops 2. Perk machines have been evenly distributed throughout the maps - for example you'll find that Speed Cola can be found in the recreated Mob of the Dead area. Ok, let's start with the protective Juggernog perk which should be one of your first priorities upon starting a fresh run or recovering from going down. Taking a look back at the previous DLC maps - we've had a stationary Jug Machine on Der Eisendrache, Zetsubou no Shima and Gorod Krovi. In all cases the machine had to be powered first before the perk could be purchased. In Revelations, the Jug machine is located on the top floor of the recreated Nacht der Untoten area. This area is only accessible by passing through the portal that takes you to each of the classic map areas. The first portal (from the spawn area) will take you directly to Nacht der Untoten, simply pay the 500 point costs to override the Corruption Generator, hold off the zombies and the portal door will appear. Once inside Nacht, go up the spiraling staircase and Jug is directly in front of you at the top. It costs the standard 2500 points and will increase your down rate from three hits to five. Unlike Jug, the PaP machine tends to be hidden behind a series of mechanics. In Der Eisendrache players had to build the machine by assembling the broken pieces and it would regularly move around the map. In both Zetsubou no Shima and Gorod Krovi, the PaP machine was in a stationary position and unable to move. However, players had to drain the flooded room in ZnS before they could access the area and in the case of GK, use the dragons to fly to a remote building. In Revelations, the Pack-a-Punch has been abducted by an Apothicon and players need to recover the device. Doing so will result in the "Pack-A-Punch-ectomy" trophy/achievement being rewarded. Find each of the Corruption Engines (generators) and spend 500 points on each to complete the override process. This involves holding the area from a mini-horde of zombies for about 30 seconds. Go to Nacht der Untoten, head upstairs and look for the computer control panel. If you have overridden all four of the generators then all four of the control panel lights should be green. Time things perfectly and use the control panel as the Apothicon is passing by in the distance. A well timed activation will hit the Apothicon, knocking him down and revealing his mouth. 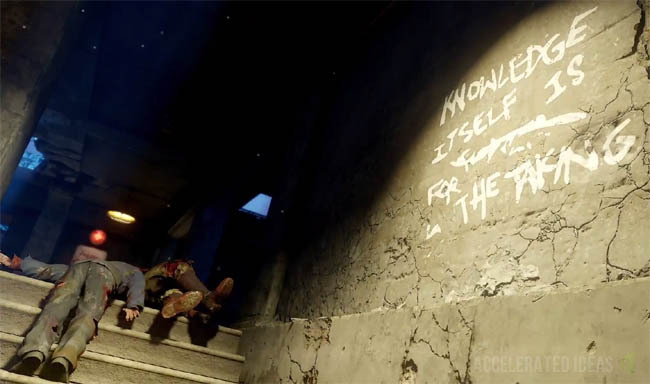 Take the stairs to the right of the control panel and go outside of Nacht. Walk up to the Apothicons huge red mouth to teleport into his belly. Venture through the beast without shooting his stomach by mistake (otherwise you get ejected out again). Look for the giant yellow ball which has the PaP inside. Shoot it to recover the PaP which drops down to a usable level. All primary weapons can be upgraded through the pack-a-punch machine. The first upgrade costs 5000 points and it improves the weapons firepower, ammo count and attachments. It also refills your ammo during the process. The second upgrade costs half the price, 2500 points, and although it doesn't refill the ammo it does improve the weapon further by offering the player an ammo "modification" e.g. Blast Furnace, Turned etc. Subsequent upgrades can be purchased for 2500 points to cycle through the alternate modifications.